Hey guys, Michael here, with another review. Today its gonna be a Berlinwood 2009. Lets get started. 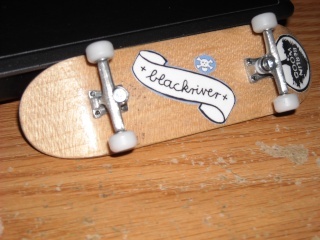 Cant talk about shipping since i didnt get it from BRR or Flatface. I just want to say this deck is amazing. Everything is sanded nicely and the green plies really stand out compared to the regular maple plies. The Elias Assmuth and Berlinwood stamp look really official and legit. But there is a few minor things that could use some improvements. The laquer really isnt that great. There is little to no laquer on this deck. The holes are dead on and i had no trouble getting my trucks on. This deck has the most solid pop i have ever felt. The deck is really crisp and really isnt that heavy compared to some of the other decks out there. The shape is medium kicks with medium concave. Similar to a Mad Genius/ Cuatro deck with lower kicks. 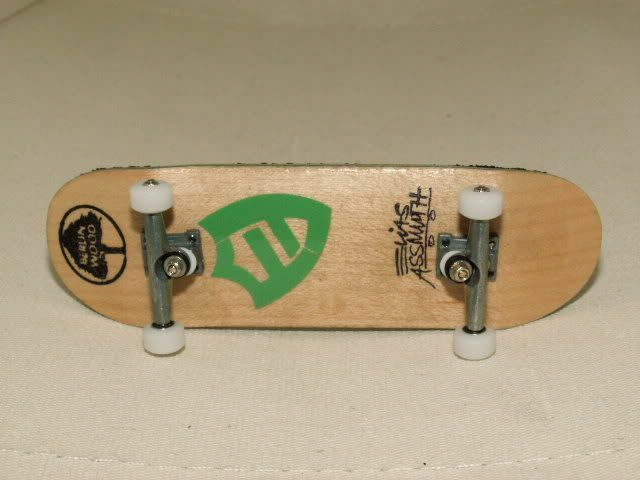 I thought i wouldnt like the deck since i like really low concave decks. But i loved it. It really fits with your fingers, and it is an extrawide, which is really nice and gives you alot of control. It is the overall perfect performing deck. Thanks for reading my review! Hope you enjoyed it! really awesome review. all the facts i can vouch for too. i just re lacquered my 09 model a couple of weeks ago to salvage having to box it. they are extremely good decks. i also purchased the hi my name is... and the winkler wheels decks. Is it necessary to re laquer it? well the reason i did is to preserve the deck. you dont have to but it does help.